We will be looking for some fun-loving, energetic volunteers for the 2016 Most Amazing Race! 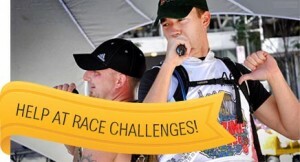 Volunteers will be needed to provide the necessary support during challenges on race day. This is a great opportunity for friends, family members, college students and employees to work together and execute a fun challenge for race participants. College students can earn community service credit! Clear guidelines will be given to you weeks prior to the event so you can prepare. You will have one mandatory meeting with MAR coordinators, to ensure accurate delivery of the challenge. Groups of volunteers can range from 4 to 10 people, depending on the complexity of the challenge. Click Here to volunteer for the 2016 Most Amazing Race!